My two days of work projects were done, and it was nice to take off a friday from work and relax and see some places. 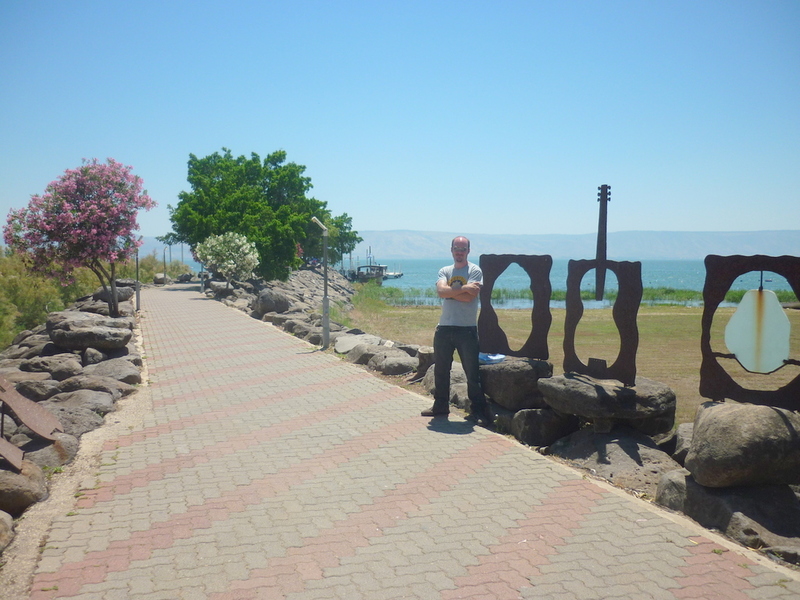 I booked into a youth hostel in Tiberias and made friends with a South Africa pastor and got to see a lot special places. 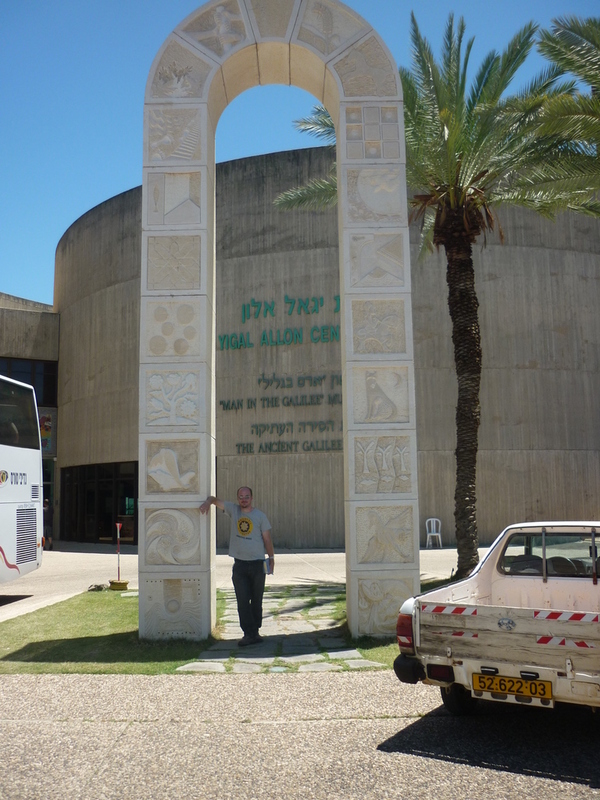 The community of Ginosar is a Kibbutz on the banks of the Kinneret, this concrete exhibition hall has this wonderful piece of history. In my home city of Portsmouth, a historic ship from the time of Henry the Eighth was pulled out of the harbour in 1982, at the time craning an ancient ship out of the sea without it breaking up, a not so conventional bit of archeology probably not been done before, and I remember as I child watching it at school on live television as it was shown all over the world. Just a few years later, this ancient boat found in the Galilee in unusually high tide conditions in 1986, archeologists sprayed it in foam and carefully lifted it out. Mounted in a metal cradle you can see the boat, it has been treated in wax to stop it rotting. 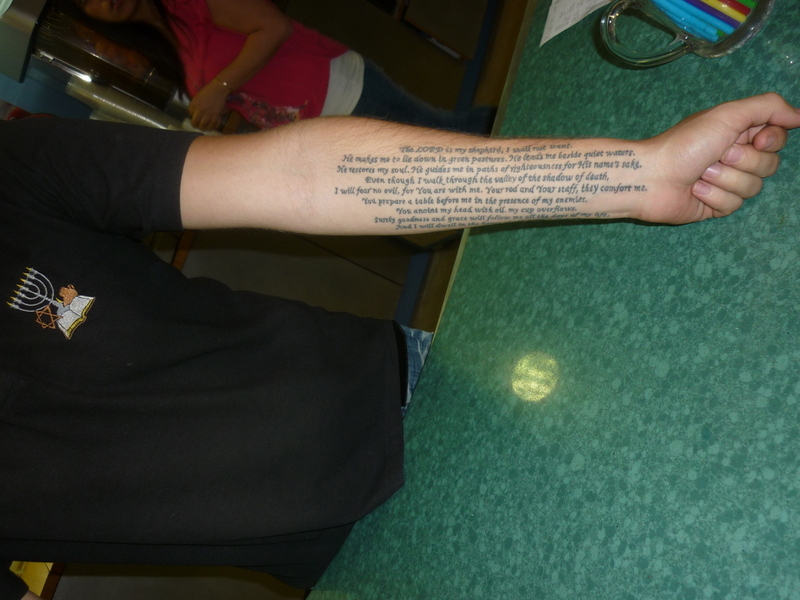 Its dated from the first century AD, so its quite possible it was owned by someone who may have known Jesus maybe. 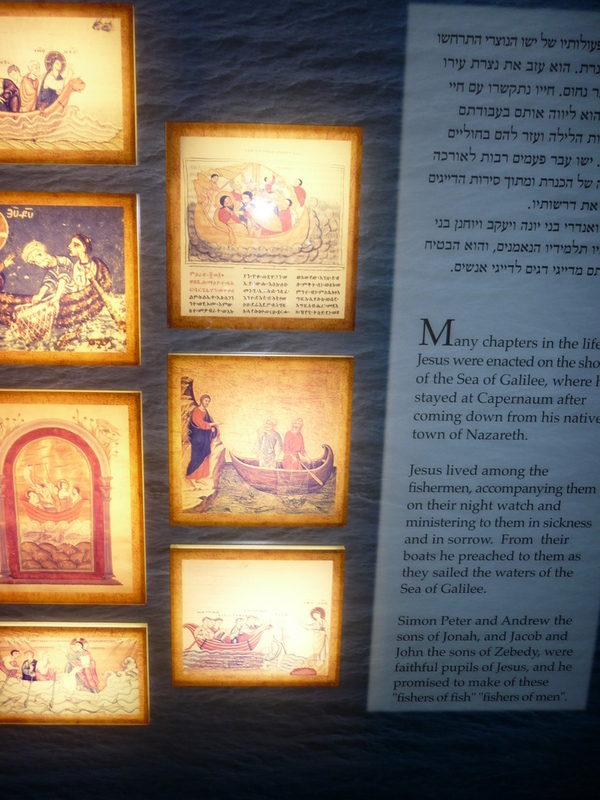 There is some nice drawings on the wall of this museum, although it is very small, as well as the video showing how it was carefully excavated and cleaned up, you can see the whole exhibition in less than 10 minutes. 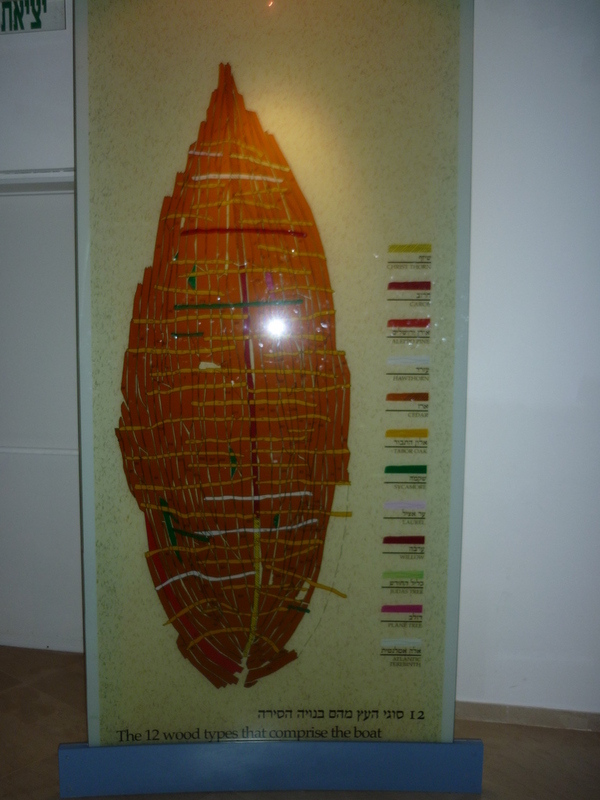 Interestingly enough, the boat is fabricated from 12 different types of wood as the colour coding here shows. 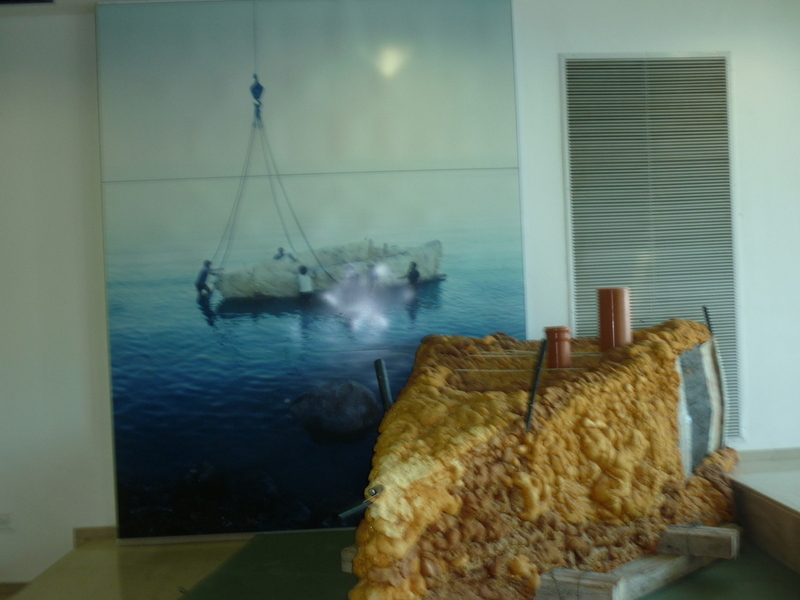 Left: photos of the boat being winched out after being covered in foam, and a model shown. Right: a model of what the model looked like in its day. Ginosar also has these nice new bungalows which look very new which look out onto the sea. There was also a folk music event happening, there were people camped out and bands playing close to the sea. I asked the man at the car park who was checking tickets where the Jesus boat was, after he spoke to his colleague, I heard him say the word ‘Yeshu’ rather the ‘Yeshua’ this was sad, as the Yeshua is Hebrew for Jesus but Yeshu, spelt similar is a insult sometimes used by critics of Christianity and Messianic Judaism in Israel. 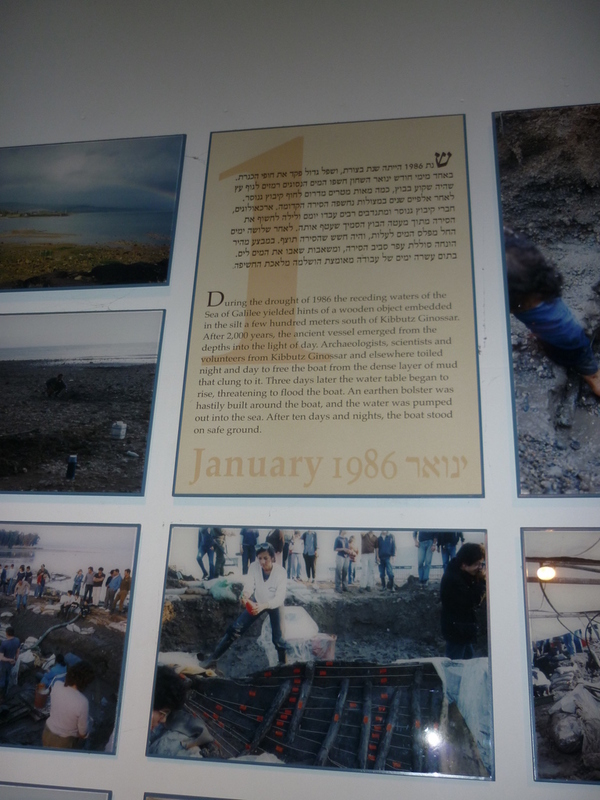 Late in January 1986 between the ancient harbors of and local residents made the chance discovery of a boats oval outline in the muddy lake bed. In less than two weeks local newspapers were announcing discovery of the Jesus boat. 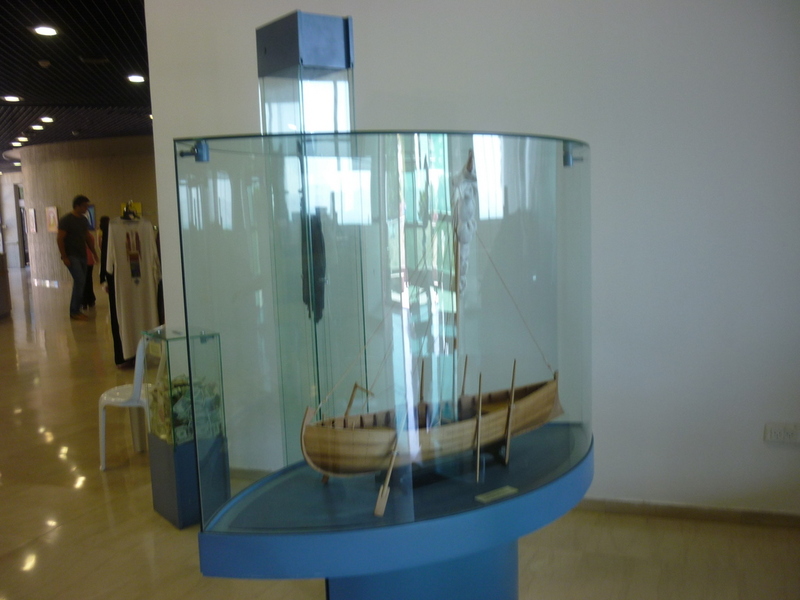 Could this be the boat abandoned by the disciples when they followed Jesus ?